So, what is emu oil? It is oil made from the fat of an emu. An emu is a bird that is native to Australia. It belongs to the same family of bird as the ostrich. 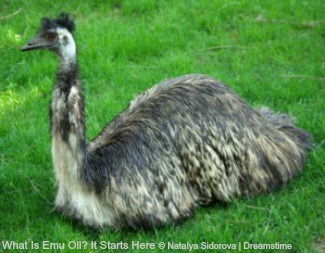 Emu oil has been used by aborigines for many years. They use it because of its versatility. Using it on skin conditions, muscle and joint problems and cuts and bruises. 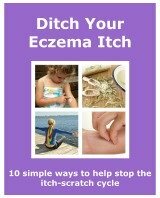 Studies have shown that it is beneficial in the treatment of eczema. When used on all types of eczema there are reported improvements in the condition of the skin. There are a few properties of emu oil that seem to benefit eczema. Emu oil is a natural product. This makes it safe to use on children. It has an advantage over other oils used to help treat eczema. It contains the 3 main types of essential fatty acids that the body requires. This essential fatty acids have long been known to be beneficial to the skin. Emu oil can be used in a couple of ways. As a soak for certain areas. You can put a few drops in a bowl and soak the area of the body where the eczema is troublesome. And also an area you can get in a bowl comfortably!! Directly onto the skin. After having a bath or shower remove the excess water. You can then use emu oil cream or lotion on your skin. This will help to seal the moisture in, rather than the water drying your skin out. You can also use it whenever your skin feels irritated. You can buy some products in health food shops and chemists. There are also a number of websites that specialise in emu oil products. So there is the answer to what is emu oil. When starting to use any emu oil products it is recommended to continue using conventional treatments, including emollients and topical corticosteroids, when needed. As it is a great natural anti inflammatory it can help to reduce the chance of your eczema getting worse.